What should be done to ensure maternal survival? Can the networked minds of individuals living throughout resource-poor regions of the world provide the best answers? The flagship project for The Domestic Agenda is the effort to achieve Millennium Development Goal #5 through crowdsourcing. Crowdsourcing, or outsourcing the process of finding solutions to open masses of people, has emerged in recent years as a means of solving challenging issues with fresh or alternative perspectives. This project will employ the wisdom of many minds to solve MDG5. What exactly is UN Development Goal #5 (aka MDG#5)? and survival of women in resource-poor regions? Having just given birth herself a year ago, Joyce (far left) suggested better education for girls and young women on their own bodies. Sexual health knowledge such as when a woman ovulates and how to prepare for a healthy birth are not currently available in most regions of Sub-Saharan Africa. 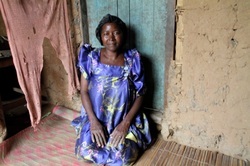 As a district nurse midwife, Veronica suggested training programs for traditional birth attendants, women that inherit the community role of midwife from their mother or grandmother. 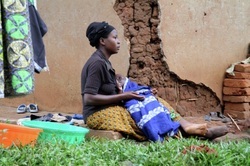 TBAs currently attend the majority of births in impoverished countries. Sarah found herself fortunate to be in a hospital for her son’s birth because the labor was stalled for two days. She said a reason more women do not go to hospital or clinic for delivery is the poor treatment they receive from medical professionals there, such as being yelled at, hit, and denied treatment until cash is exchanged. 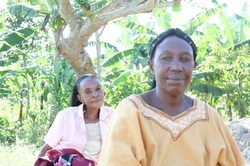 Viola (left) is a community group leader who assists women in recovering their lives after HIV-related depression. She suggests more support groups to connect women to others who sympathize and help them find solutions to life challenges, such as paying hospital and clinic fees. Dr. Nabunwa Godfrey practices at a clinic in a rural district of Southwestern Uganda. He suggests a support network similar to DOTS, in which TBAs and community health workers check on pregnant women and help them get to the clinic when they are in labor. 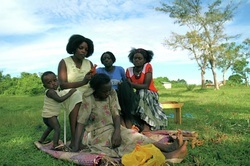 Yamada Senyo is a Traditional Birth Attendant working in a village near the Uganda-Tanzania border. She suggests better transportation for pregnant women, who currently only have motorcycle taxis as a choice for getting to a clinic or hospital when they are in labor. You can follow and support the documentary film production on the process at IndieGoGo!